Practicing law since 1988, James H. Snyder Jr. is admitted to practice in all courts of the state of Tennessee and the Supreme Court of the United States. He has served as prosecutor (6 years), Juvenile Court Referee (8 years), and currently a private attorney for over 25 years. He has successfully resolved thousands of cases including multiple complex, lengthy trials. James H. Snyder Jr. graduated from the University of Tennessee College of Law in 1987. Upon graduation, he clerked for the Honorable Joe D. Duncan, Presiding Judge of the Tennessee Court of Criminal Appeals until September 1, 1990. 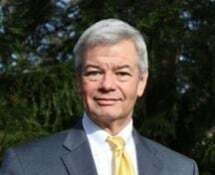 On September 1, 1990, Mr. Snyder joined the District Attorney General’s Office for the Fifth Judicial District (Blount County, Tennessee) until going into private practice on September 1, 1996. Since 1996 Mr. Snyder has focused on helping people who need assistance with family matters: divorces (either contested and uncontested), post-divorce matters (such as child custody and child support), adoptions (including step-parent, agreed and contested hearings) and criminal defense related to family law matters, including domestic assault, stalking, harassment, and various other misdemeanors and felonies. James H. Snyder Jr. is recognized as an attorney who is willing to aggressively litigate the most difficult cases but, because of his preparation, is able resolve his clients’ legal matters through mediation or settlement negotiations. James H. Snyder Jr. recognizes that an integral part of being a family law attorney is helping clients properly provide for their family and loved ones using personalized wills and trusts, durable powers of attorney, advance directives, and establishment of conservatorships, and, ultimately, providing dignified professional legal service for the probate of estates.